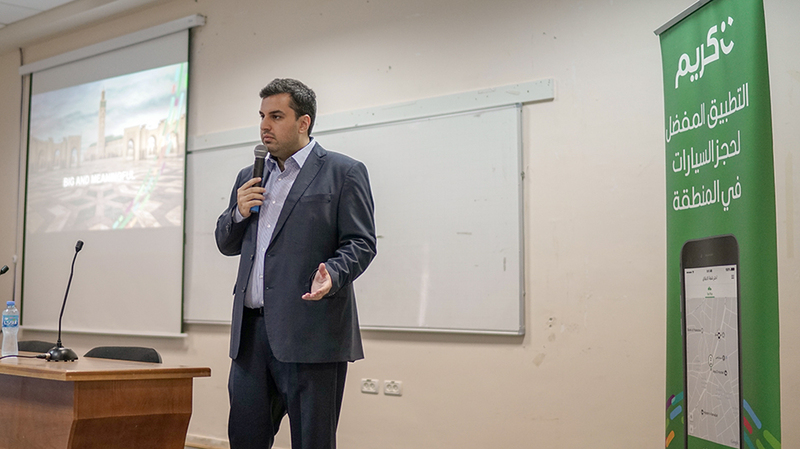 Ibrahim Manna, director of emerging markets at Careem, gave a lecture detailing the company’s history and how it overcame the challenges of starting a regional business, on Thursday, October 18, 2018. 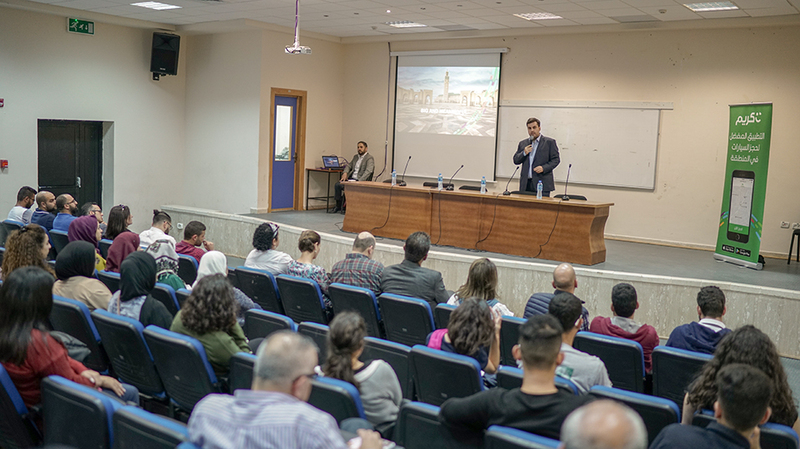 The lecture, organized by the Innovation and Entrepreneurship Unit, the Faculty of Engineering and Technology, and the Faculty of Business and Economics, introduced the attending students and faculty members to the company’s founders, Mudassir Sheikha and Magnus Olsson, and their idea to create something “big and meaningful” that would help people. “After being diagnosed with cancer, Magnus Olsson promised himself to create something that would help people’s lives if he survived. He met Careem’s co-founder, Mudassir Sheikha, while working at a consultancy company,” said Manna. He added that the duo, after researching issues within the Arab world, found that transportation had a significant impact on people’s lives and livelihoods. They set out to fix that problem, and Careem was established. Manna also remarked that Careem aims to complement the transportation industry, not overtake it. The app, he told the audience, allows users to choose between hailing a private car or hailing a taxi. The company works to develop the countries in which it operates, Manna observed. “One of our most important priorities is empowering women. In Saudi Arabia, for example, we trained 1000 female captains such that they were able to use their cars as assets to generate income once licenses for women were issued,” he said. Addressing the attending students and future entrepreneurs, Manna summarized the company’s six-year experience into four short lessons: start with the problem, not the solution; iterate on what you’re good at and grow; hire help when the company starts getting big; and find local allies where you’re operating. 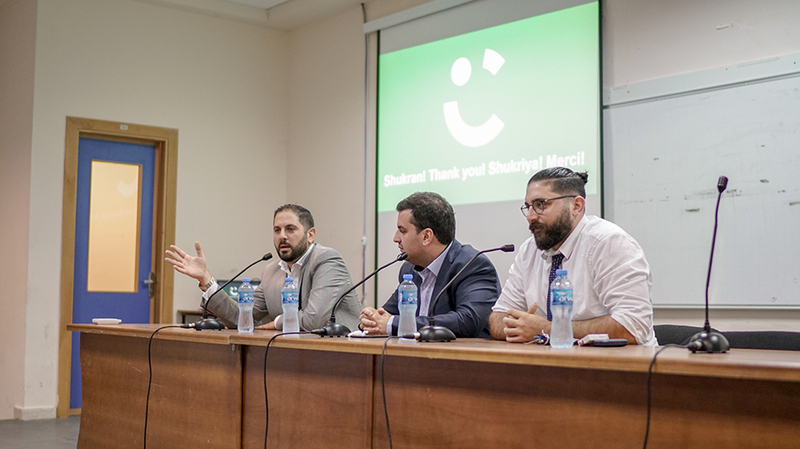 Manna, joined by Sabri Hakim, Careem’s general manager in the Levant, fielded questions from students and faculty members at the end of the lecture, with queries ranging from Careem’s legal status in the countries in which it operates to how the company dealt with logistics across borders.